Getting another win for Josh Allen’s development was great, but it cost Buffalo in draft position, as it dropped them from 6th to 10th in the NFL Draft order. If everything goes their way today, the Bills can move to 5th overall by the end of the night. Man would it feel good to beat these guys, but naturally a loss would do good things for the draft order. Root for the Bucs here, as they are in the 9 spot ahead of Buffalo due to a slightly lower strength of schedule (SOS). Hopefully Stafford and Golladay can continue the magic they had last week against Buffalo against their NFC North rivals. Another opportunity for the Bills to move up if the G-Men can beat the Colts. This one will be tough with the Colts one of the hottest teams in the league right now. Root for St. Doug’s crew here. A Jags win and a Bills loss would move the Bills in front of them due to SOS. Go Falcons! Not a stretch that this could happen with the Panthers shutting down Cam Newton for the year. There are the most important ones for this weekend. Big opportunity there for the Bills this weekend! Let’s see how much they move, up or down, after today! 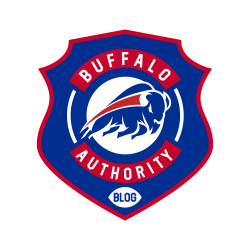 This entry was posted in Analysis, NFL Draft and tagged Bills, Bills Blog, Buffalo Authority, Buffalo Authority Blog, Buffalo Bills, NFL Draft. Bookmark the permalink.